Life is abuzz this time of year at Keeler Estate Vineyard. 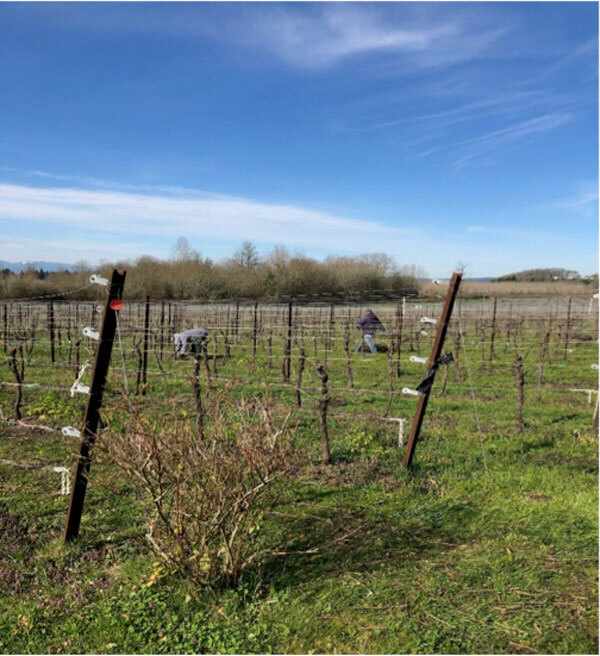 We are busy doing our “spring cleaning” in our Certified Biodynamic vineyard. Now that pruning has finished, the work of cleaning up and disposing of the cuttings begins. Removal of the old cut-off canes is a symbol of the ending of winter and the approach of spring in the vineyards. One of the main questions after pruning the canes is what do we do with them now? 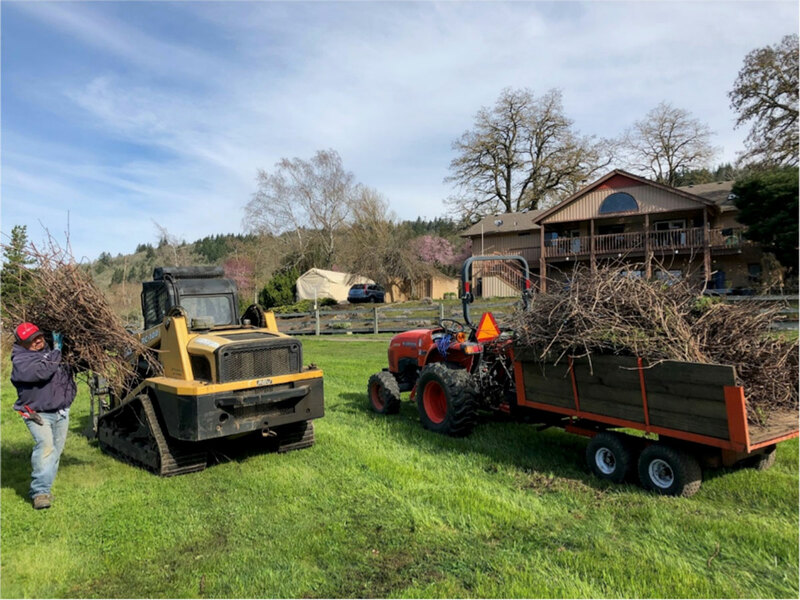 Flail Mower: Canes can be chopped on the vineyard floor by a flail mower into tiny pieces and placed in contact with the soil, where they present few problems and can easily decompose back into the soil. Rotary mowers: Do not chop prunings fine enough to reduce the reinfection or re-infestation potential from diseased or insect-infested wood. If we remove prunings from the rows, it’s best not to stockpile them near the vineyard. Removal is to prevent any pest or disease problems they might attract from spreading back into the live plants. Burning: is one of the best ways to deal with this issue since it will eliminate harmful insects and diseases. This year we have chosen to burn our canes. It has been a good practice for us to do every few years to help keep harmful insects and disease out of the vineyard. 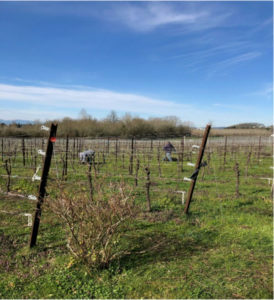 Then other years we will chop our canes back into the rows as this is an excellent biodynamic practice for our vineyard to increase healthy soil. As we move along, we will be preparing some of our biodynamic sprays to apply to our vineyard right before bud break. Bud Break is always an exciting time for us, as once we have bud break we are on the count down to the days of Harvest.